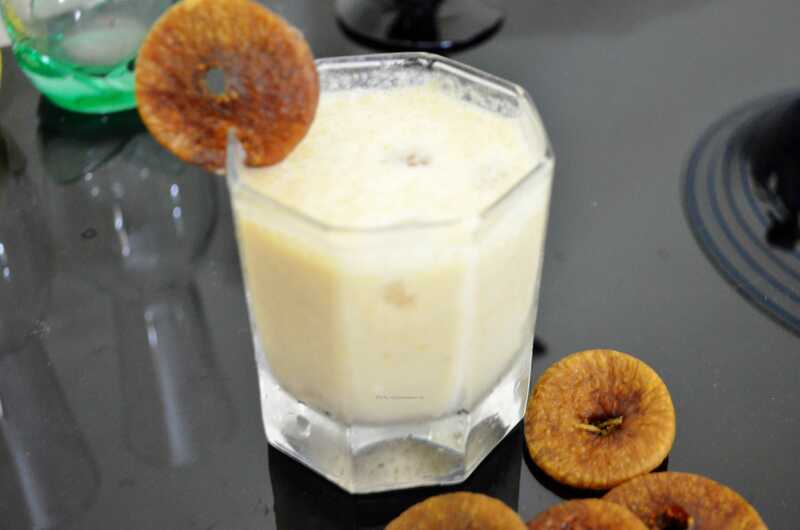 Soak the anjeer in enough water over night and grind it to a smooth paste using required amount of milk. Put the ground figs, sugar,ice cubes and chilled milk in a blender and blend it well on high speed. Pour in serving glasses and serve chilled.